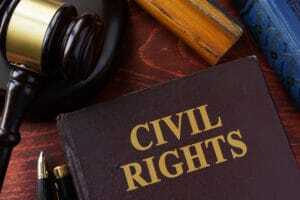 If you have faced police brutality in New Jersey, you need an experienced police brutality and civil rights law firm. Law enforcement professionals are there to protect your rights but, all too often, these very people violate them. It seems that some cities and departments in New Jersey can’t police themselves. Unfortunately, the only way for many victims to hold a bad cop accountable is through a civil rights claim for monetary damages. A recent news story about a police brutality lawsuit points to this very fact. The city of Jersey City, NJ recently announced that they will settle a federal lawsuit. A man accused police in the city of beating him at a 2011 party that occurred on Martin Luther King Drive. Jersey City settled the man’s claim for $45,000. The man was arrested by police in 2011 when police officers were informed that individuals with handguns were nearby. The man was then employed as a security guard at the party. He alleged that four officers grabbed, punched, and kneed him and hit him with a police baton when he wouldn’t leave the premises. Police admitted that physical contact occurred but said they didn’t use “excessive force” with the individual. The injured man’s skull was fractured and he lost consciousness. The original lawsuit was filed in 2012. In March 2016, a U.S. District judge allowed some of the man’s claims to move to hearing but dismissed other claims. A portion of the incidence was captured on the video, and the judge said that the evidence provided credence to claims that the officers used excessive force. Your civil rights are protected under 42 U.S. Code § 1983. Our law firm has a long track record of holding law enforcement agents and officers accountable. We’re familiar with the country’s most powerful law enforcement teams and agencies, including the Federal Bureau of Investigation (FBI), the New Jersey State Police, the U.S. Drug Enforcement Agency (DEA) and others. If you have suffered from police brutality, contact Begelman & Orloff, Attorneys at Law. We have offices in Cherry Hill, NJ and Conshohocken, PA. Call us to discuss your potential case in confidence at 856-428-6020 or 215-235-6020. We represent clients in New Jersey and Pennsylvania.